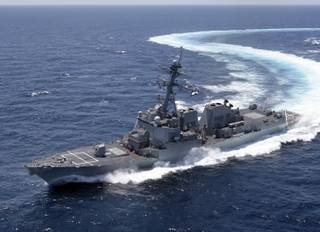 PASCAGOULA, Miss., June 29, 2010 (GLOBE NEWSWIRE) -- The Northrop Grumman Corporation-built (NYSE:NOC) Aegis guided missile destroyer Gravely (DDG 107) returned successfully from her first-ever sea trial last week in the Gulf of Mexico. Reaching this milestone paved the way for delivery to the U.S. Navy later this summer. The destroyer is being built by the company at its Gulf Coast facilities in Pascagoula, Miss.